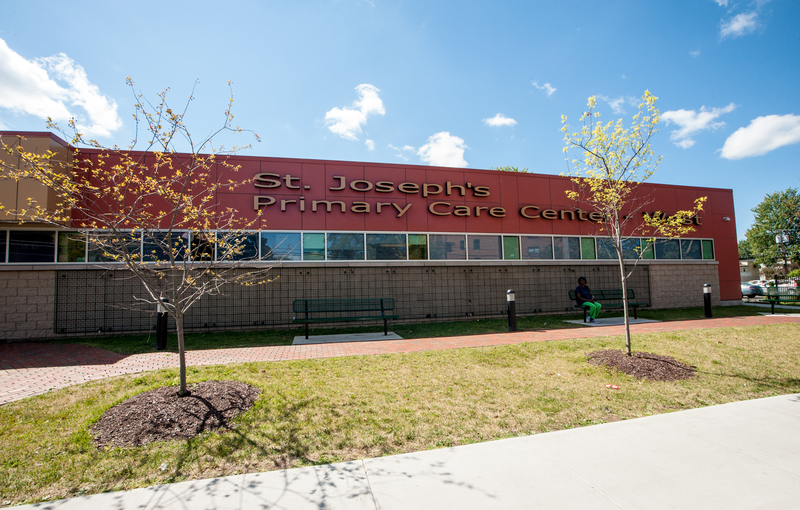 In 2016, the Lerner Center in collaboration with St. Joseph’s Primary Care Center-West and Nojaim’s Brothers Supermarket piloted a new diabetes self management education program for patients. With initial funding from Excellus Blue Cross Blue Shield, the team went directly to patients to determine what was of interest to them, and marry that with best practices in diabetes education. Led by the clinic’s Registered Dietitian Nutritionist, eligible and willing patients were enrolled into cohorts, and attended monthly education sessions for 12 months. The topics ranged from healthy eating and shopping on a budget to stress management, eye care and foot care. An added benefit was the distribution of fruit and vegetable “prescriptions”, redeemable at Nojaim’s. Participants were given $5 coupons, up to $40 per month depending on family size, for every group session they attended. The Center knew from prior community feedback that stretching already limited dollars on perishable fruits and vegetables was not affordable for many patients and residents. In addition to fruit and vegetable prescriptions, participants also received incentives to make shopping and preparing meals at home easier. Reusable shopping bags, wheeled grocery carts, cutting boards and measuring cups/spoons were identified as useful tools to help participants eat healthier. Cornell Cooperative Extension facilitated several cooking demonstrations, introducing participants to new varieties of produce. Many stated that the coupons allowed them to try new varieties of produce that they would not have purchased with their normal grocery budget. After one year, group session attendance rates averaged 69% and coupon redemption 70%, with redemption up to 97% during some months. Participants have self-reported increased knowledge and confidence in managing their diabetes. Participants liked the program so much that they have asked to continue via monthly support groups. Participants also showed improvements in weight loss and decreases in their Hemoglobin A1C. Thanks to funding from Trinity Health and Wholesome Wave, staff at Primary Care-West will now oversee and manage the program.